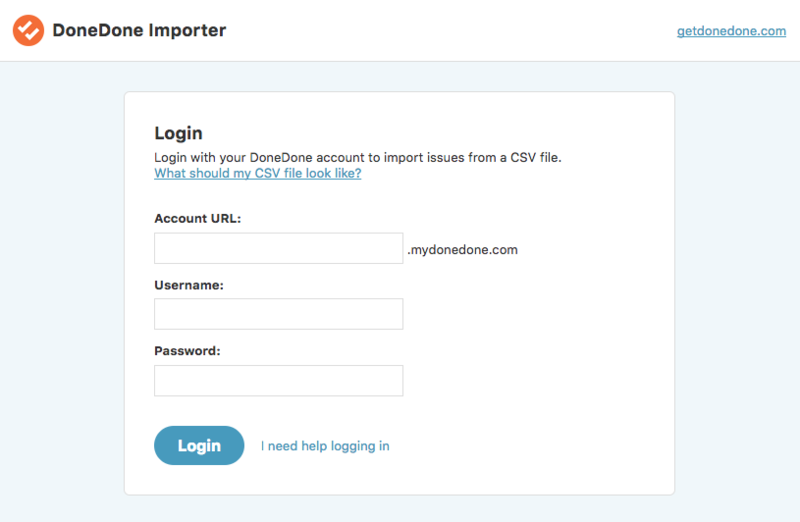 You can import an issue from a CSV file by going to our import site at import.mydonedone.com. The importer allows you to import the title, description, priority, status, fixer, and tester for your issues. Note: The importer will not import issue histories. Create a CSV file containing rows for the issues you want to import. The importer includes a sample CSV file you can use for reference. Login to the Importer using your DoneDone account subdomain and credentials. Follow the Importer instructions to upload your CSV file and complete the import process.